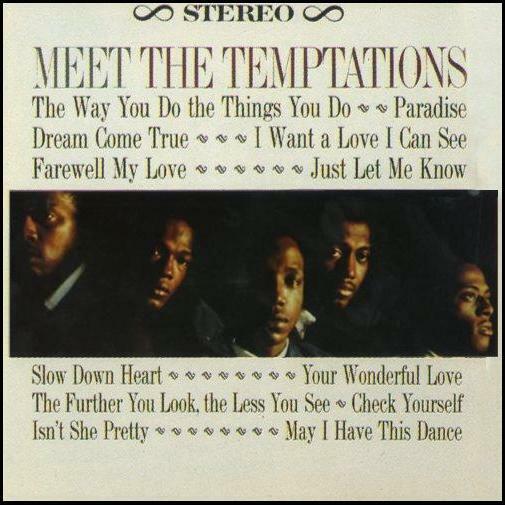 Meet the Temptations is the 1964 debut album by The Temptations for the Gordy (Motown) label. It includes most of the group's early singles except for the first, "Oh Mother of Mine", and its b-side, "Romance Without Finance" (later included on a CD reissue of the LP); as well as the single "Mind Over Matter" (and its b-side "I'll Love You Till I Die"), in which the group is credited as The Pirates. Also included is the first Temptations hit single, "The Way You Do the Things You Do".